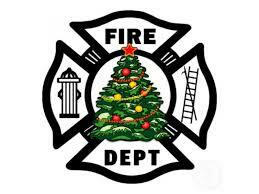 The Proctorsville Fire Department’s Annual Christmas Tree and Wreath Sale will begin Saturday December 1, 9am-4pm and continue on December 2nd, 8th, and 9th. Trees are VT grown and are $30 and up. Wreaths are $15. Trees range from 5ft to about 9ft. Will deliver in the area, just stop by and pick out that perfect tree and we can get it home for you. On December 8th Santa will arrive at the firehouse by a PFD Engine at 10am make sure your there with the kids to see him arrive. There will be free coffee and doughnuts also.